An awesome trend has emerged lately in Astoria, and we’re totally on board with it. Local business owners, even new ones, are making it a priority to not only run a stellar business, but also give back to the community while doing so. 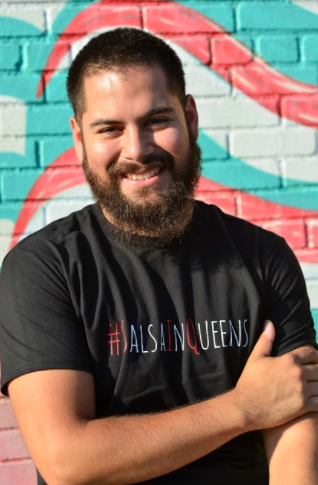 One small business owner who’s an excellent example of this is Jean Franco Vergaray, the charismatic and hardworking mastermind behind #SalsaInQueens, a new dance studio that opened in the beginning of 2017. Every time I chat with Jean Franco, he stresses not just that I need to take a class (I know, I know. Soon! 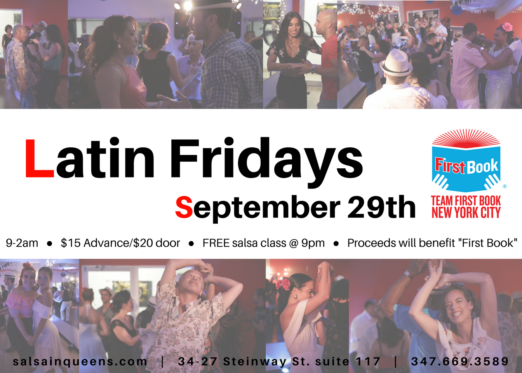 ), but also that the studio has made it their mission to give back to the neighborhood through their monthly charity edition of Latin Fridays, an evening of dance where door proceeds are donated to a local worthy cause. That’s why he’s our newest addition to the Small Business Owner Spotlight series! We’re known for being a community, dance-oriented studio, which specializes in taking students with little to no dance experience and making them comfortable and eventually pros on the dance floor. I was born and raised in Peru, however, I arrived in Queens when I was 12 and have never left! We grew up in various Queens areas including East Elmhurst, Jackson Heights, and just recently, I moved to Astoria with my girlfriend. I started dancing when I was 17 years old and became addicted to it right away. 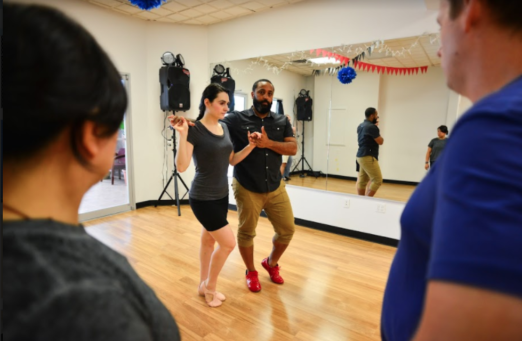 I’ve worked at various dance studios, performed with world renowned dance teams and even competed, but I always knew I wanted to properly instruct and spread the joy of dance within my community. 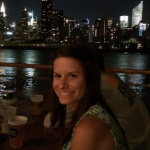 Queens, and Astoria specifically, are such diverse areas that I knew I could make a huge impact. My favorite moment was the opening night of #SalsaInQueens. Opening night set the stage for the amount of love and support that the studio would receive and it’s since grown exponentially. That’s not an easy one. Seeing as how Astoria is the mecca for awesome food, I can’t just pick one. But, if I’m on the go and need something quick, delicious, and authentic, I always go to La Vecina. Their arepas are on point, especially their “Salsa In Queens” arepa–it’s one of the best in Astoria. If I’m looking for a bar/restaurant with an awesome vibe and insanely good food and drinks, I’ll hit up The Highwater. My favorite hidden gem is Socrates Sculpture Park. Only Astoria would have one of the world’s most beautiful, outdoor sculpture parks right next to a Costco with a stunning view of the city for free. The Highwater’s got an awesome vibe, insanely good food and specialty drinks. That’s my go-to spot for happy hour, brunch, or for a date night. We usually try to go to Astoria Park if the weather’s nice, if not I love catching up with friends/family over an intense game of pool and a pitcher of Blue Moon at Break. 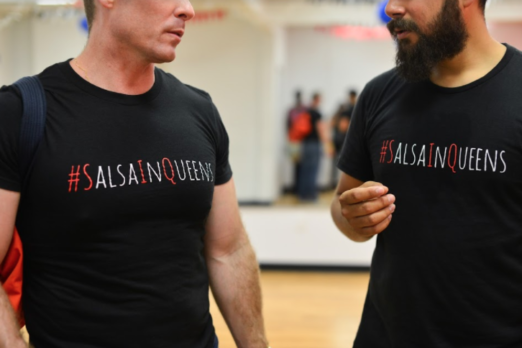 Since Salsa in Queens has opened, we have seen like minded businesses come together and find creative ways to uplift the community. 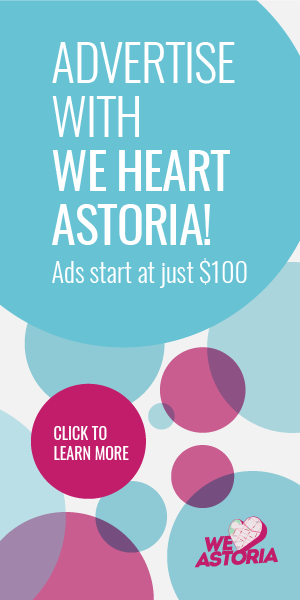 Astoria has a strong sense of community and we make it our business to support all forms of positive change. Seeing students progress and giving back to the community. There’s nothing better than watching your salsa babies grow up within months or even weeks. To see their love for dance grow day by day makes it all worth it. Also, being able to, month-by-month fundraise for different organizations at our parties has been a privilege and a blessing. All of our students enjoy coming together to dance with each other, and there’s an added bonus when they’re doing it for a good cause.